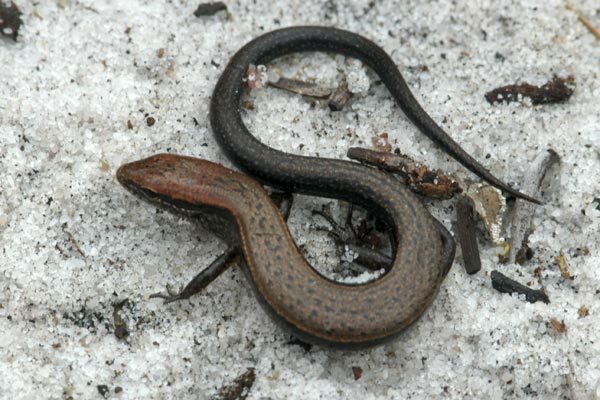 I had seen a few of these aptly-named skinks in 2001 when I first visited this part of Florida with my friend Dr. Peter May. Unfortunately, the few pictures I got at that time were all on the only roll of film that I've ever lost in the mail. Fortunately, I got another chance to visit Dr. May and his colleague Dr. Terry Farrell. Terry found another of these skinks and we managed to wrangle a few photos out of it, despite its strong desire to wriggle away. Little. Brown. 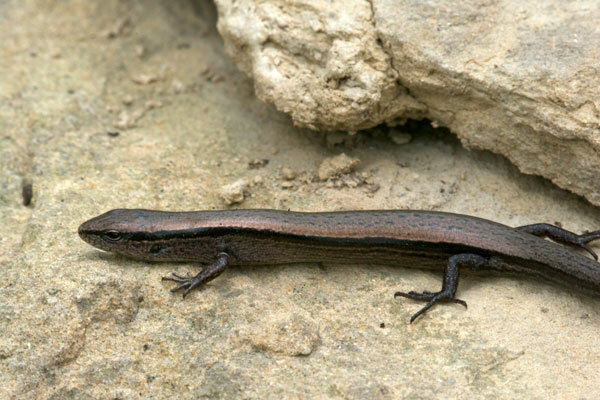 Definitely a skink. 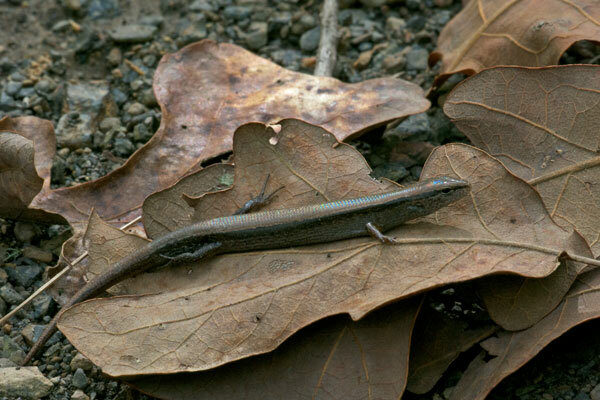 This was the only lizard I saw on a cool morning that also featured eleven ring-necked snakes. 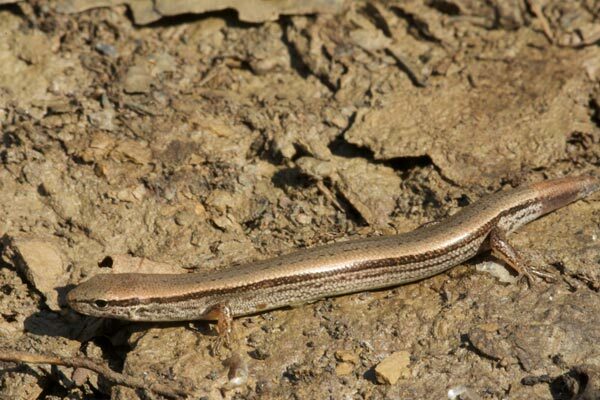 It's hard to think of new things to say about little brown skinks. They don't vary a lot, or do many interesting things. 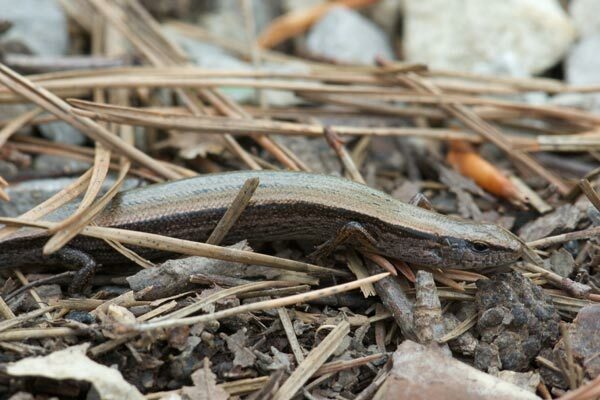 But since I live in California where there are no little brown skinks, they are still just a little bit exciting to find. I had never spent time in Oklahoma before this trip and was hoping to see a few fine OK herps while passing through. 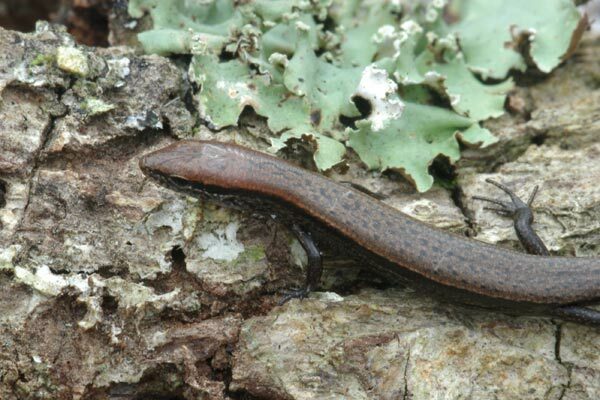 The chilly weather was not conducive for herp discovery, however, and I was beginning to despair that I would end up without any OK herp sightings at all when I looked under a choice-sized rock and saw this little guy.